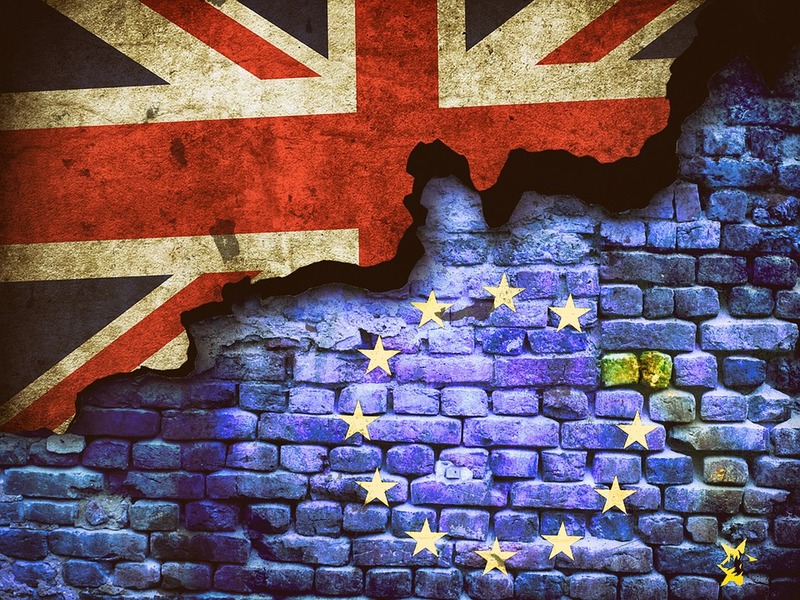 In this post, I develop the reasons for the assessment that such a ‘Buy Brexit’ requirement is illegal (which I previously published in my personal blog and the specialised EU Law Analysis blog). I will try to keep this post as jargon free as possible and limit the technical details of my legal assessment as much as possible. However, this is a rather technical area of economic law, so some technicalities will be unavoidable. Specifically, the tenders in question introduce evaluation criteria under the category of ‘cultural fit’ (which carries a weight of 15% of the total points), amongst which tenderers are to be assessed based on whether they are “committed to the best possible outcome for the United Kingdom following its departure from the European Union“. The other sub-criteria in this group require tenderers to “be focussed enough to stick to the task at hand and not be side-tracked in a vast and quick-moving field; be committed and hard-working, to deliver under time pressures; and be enthused by the prospect of working at the frontline in such an exciting and dynamic area“. These are meant to be assessed on the basis of a written proposal and presentation (ie a beauty contest). All of these sub-criteria raise serious concerns from the perspective of public procurement best practice, mainly due to (i) the difficulties they create for the contracting authority to carry out an objective assessment at evaluation stage (which makes the evaluation turn to a determination of who can write the best ‘essay’), and (ii) their forward-looking nature and difficulty to monitor ex post during the implementation of the contract (which would make them more suited for contract compliance or termination clauses, rather than evaluation criteria, and which also raise the risk of awarding the contract to the tenderer shown to be the best liar). Additionally, these criteria have, at best, a very tenuous link to the subject matter of the contract and rather refer to general characteristics of the tenderer that, if so, should be assessed at selection rather than evaluation stage. This is important because the criteria are not formulated in relation to the specific members of the team that will provide the services, but rather left wide open as a reference to the tenderer as a whole. More importantly, the specific question about the tenders’ commitment to the best possible outcome for the United Kingdom following its departure from the European Union (as well as the question on enthusiasm) relates to attitudes that are simply unobservable for the contracting authority. These issues disqualify the ‘cultural fit’ questions as valid evaluation criteria under current law. Here, it is important to stress that the legal analysis depends on the value of the tendered contracts. Different rules apply to contracts above or below specified value thresholds–which, for services contracts are currently set at £106,047 (or €135,000, see here). The contract tendered by the Department for International Trade indicates that “We are aiming at no more than £50,000 for the totality of the Discovery, but are open to proposals from suppliers who may feel that extra resources are justifiable given the scope of the task.” This creates uncertainty as to the relevant legal rules, particularly if the award results in a contract of a value above the threshold. This would suggest that the UK Government should be in compliance with the most stringent rules for contracts above thresholds to be on the safe side. Just in case, though, let’s consider both sets of rules. The award of contracts below the relevant value thresholds must comply with the requirements of reg. 111 of the Public Contracts Regulations 2015 (see comment here) and the general requirements derived from general principles of EU law, such as non-discrimination, equal treatment, transparency and competition. Reg. 111(5) PCR2015 indicates that “contracting authorities may ask candidates to answer suitability assessment questions only if each such question is—(a) relevant to the subject-matter of the procurement; and (b) proportionate.” And reg. 111(7) PCR determines that, in doing so, the contracting authority “shall have regard to any guidance issued by the Minister for the Cabinet Office“. On that point, it is important to bear in mind the guidance issued by the Crown Commercial Service on selection questionnaires. In para , concerned with project-specific questions such as the ones we are discussing, the Guidance indicates that the contracting authority “can ask further project-specific questions relating to the potential supplier’s technical and professional ability. Any project-specific questions asked must be relevant and proportionate to the contract. You should refer to the list of possible topics covering technical and professional ability.” Importantly, these requirements concerning technical and professional ability are fundamentally limited to assessing suppliers’ past performance, on which there is additional guidance. Overall, these requirements indicate that contracting authorities can only assess the reliability of tenderers in relation to their previous experience and only in so far as this is linked to the subject matter of the contract and proportionate to its value. In my opinion, asking tenderers to answer questions concerning their commitment to the best possible outcome for the United Kingdom following its departure from the European Union and their enthusiasm to work with the Department for International Trade in carrying out Brexit-related analysis is neither linked to the subject-matter of the contract, nor verifiable according to the standards applicable to the assessment of technical and professional aspects of the tenderers’ ability. This impossibility to verify commitment and enthusiasm as part of the evaluation of the tenderers is bound to also breach general principles of EU (public procurement) law, in particular the principle of non-discrimination. If the contract below thresholds is, nonetheless, of cross-border interest, this is an additional legal basis for the illegality of the use of ‘cultural fit’ criteria. Where the contract is above the relevant thresholds (ie for services exceeding £106,047 or €135,000), the illegality of the use of ‘cultural fit’ criteria becomes even clearer. This analysis is important in this specific case only if the contract significantly exceeds the initial value of £50,000, but this discussion is important in case the Department for International Trade (or the UK Government more generally) is piloting the use of ‘cultural fit’ as a broader procurement policy. There are two ways in which ‘cultural fit’ could be used in this setting; either as a selection criterion (where the contracting authority is screening the tenderers as a whole) or as an award criterion (where the contracting authority is screening the specific offer and/or the specific team proposed by the service provider). If considered as a selection criterion, the relevant rules are those of reg. 58 of the Public Contracts Regulations 2015 (see comment here) and Art 58 of Directive 2014/24/EU. Both of these provisions must be assessed in light of the case law of the Court of Justice of the European Union (ECJ). The relevant requirements derived from these rules are that contracting authorities can only impose requirements aimed at assessing technical and professional ability with the purpose of “ensuring that economic operators possess the necessary human and technical resources and experience to perform the contract to an appropriate quality standard” [reg. 58(15) PCR2015], and provided they are “related and proportionate to the subject-matter of the contract” [reg. 58(4) PCR2015]. ‘Cultural fit’ selection criteria are not in line with these requirements. The ECJ was clear in its famous Dutch coffee case (C-368/10, EU:C:2012:284, paras 105-108) in establishing that selection criteria that relate to general policies or attitudes of the tenderer (in that case, whether they “fulfil[led] the criteria of sustainable purchasing and socially responsible business [and] contribute[d] to improving the sustainability of the coffee market and to environmentally, socially and economically responsible coffee production“) are not allowed. I have no doubt that the ‘cultural fit’ criteria used by the Department for International trade in this case, and any criteria that more generally aim to screen tenderers on the basis of their commitment to specific outcomes or their enthusiasm in their generation will equally fall foul of UK and EU public procurement law. Once more, the impossibility of verifying commitment or enthusiasm exclude the possibility of using ‘cultural fit’ as an award criterion. This is in line with the general requirements set by ECJ case law, which exclude the use of criteria that provide the contracting authority with unlimited discretion [for extended discussion, see A Sanchez-Graells, Public procurement and the EU competition rules, 2nd edn (Oxford, hart, 2015) 378 and ff]. For the reasons above (and some other technical ones I am happy to explore further if it is of interest), I think that the Government’s policy (or the Department for International Trade tenders, if this is an isolated incident) constitutes a clear infringement of both UK and EU public procurement rules. Further, in my view, the problem that underlies the specific call for tenders for advisory services issued by the Department for International Trade is the impossibility of obtaining a perfect substitution between in-house capabilities and contracted-out consultancy. While the Government may be in a better position to push for its political agenda in steering the work of the civil service (which is probably a matter for a separate discussion), it is clearly in a very weak position to do so when it is contracting-out (or in?) advisory capabilities. All procurement rules allow the public sector to do is to specify the services it aims to acquire. And this implies that the service itself needs to be susceptible of specification. Where non-contractible elements drive the decision to contract, public procurement is simply not a useful tool. The Government may have difficulties building up its in-house capabilities, or even ‘reigning in’ the civil service, but they will definitely not have it easier through procurement. This entry was posted in Business and economic policy, Global political economy, Governance and public services and tagged brexit, contracts, law, procurement, trade, UK Government by policybristol. Bookmark the permalink.